Educators, Partners, Parents, Students and more from the CICS Network. Chicago International Charter School (CICS) has launched an Open Call for applications for the next cohort of its Education Entrepreneur Fellowship program. CICS' flagship innovation and incubation program, the Fellowship, supports education innovators by providing them with the tools, networks, and resources necessary to bring their innovative classroom and school model concepts from ideation to transformational impact. On Thursday, August 16th, 2018, Chicago International Charter School (CICS) celebrated the beginning of a new school year at the UIC Pavillion. On that day, staff of fourteen unique CICS campuses and one microlab came together, united by a shared vision: to create a hub of innovation where every student will flourish, every school will meet the unique needs of its community, and every success will improve our city and our world. According to a 2015 report from the tech nonprofit CompTIA, students and educators alike believe access to technology in classrooms is beneficial to getting ahead in the increasingly digital workforce. To help schools ensure access to learning technologies, Relativity, a provider of cloud-based data management and analytics tools for companies in the legal industry, has established a Wired to Learn technology grant for local schools. In honor of Black History Month, CICS is highlighting the latest Innovation Spotlight video showcasing ChicagoRise-the bold school model integrating identity-affirming pedagogy with a rigorous intentional curriculum. Our students are tomorrow’s entrepreneurs, designers and civic leaders, and they need opportunities to develop and exercise their skills and knowledge through problems in real-world situations and circumstances. At CICS ChicagoQuest, seniors are in a 6-10 week long project, the Civitas Community Impact Experience (CCIE), that addresses authentic issues, tasks, and topics proposed by sponsors and community partners. Students earn high school credit and may also have opportunities to pursue professional certifications. Innovation. Empowerment and Academic Achievement. 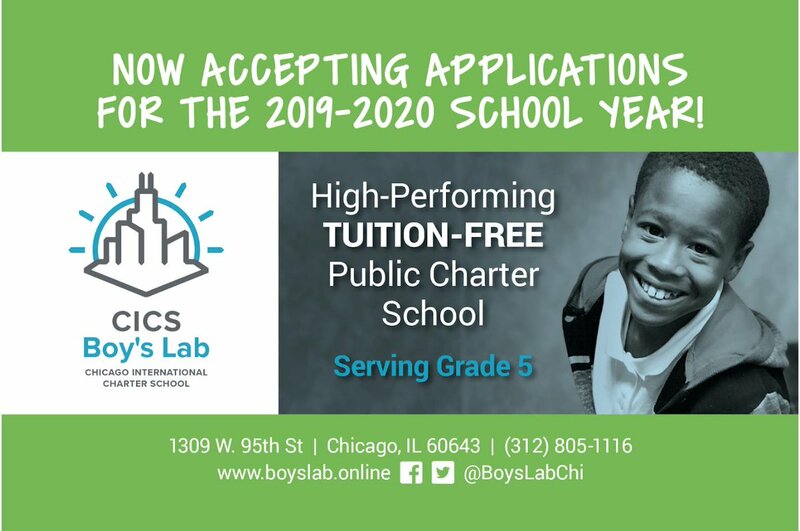 At CICS-Boy's Lab, a unique three-year cohort learning experience for boys, we know what it takes to enhance our scholars’ education. Check out the latest Innovation Spotlight video that showcases the unique approach to learning and the top quality faculty makes Boy's Lab more than just a physical school - it’s a life experience.